The multinational corporation specializing in optics and imaging, Nikon has introduced its new compact digital camera – Nikon COOLPIX S60, which combines sophisticated design, fun features and an intuitive touch-screen control into single device. 10 Megapixels for stunning prints as large as 16 x 20 inches. Sharp resolution captures the finest details, crop creatively and produce incredible enlargements. New Touch Autofocus and Auto Exposure lets you touch the subject on the 3.5-inch screen that you want to focus on and the camera automatically sets the focus, exposure and tracks the subject ensuring sharp focus and optimal exposure. 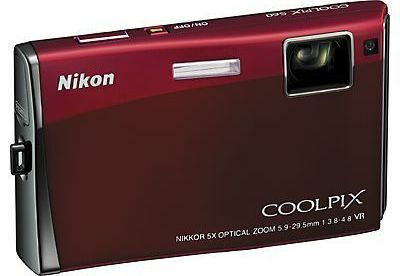 The Nikon COOLPIX S60 digital camera will be available nationwide in coming September 2008 for about $350.